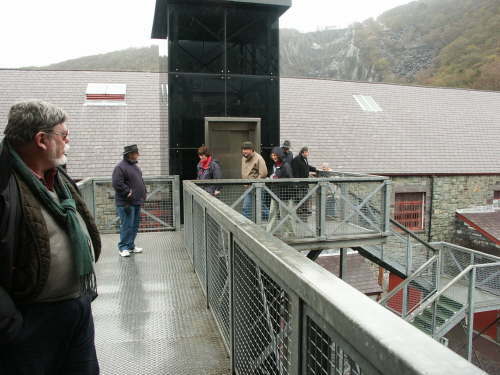 At the Slate Museum, Llanberis. L-R: Ian Schofield Beavers, Dave Baker, Rhiannon Robinson, Kieth Davies, Nicola Davies, Naish Kieran Kelly, Grant Kirby, Hanno Jax. On the stairs & gantry to the 50ft water wheel.